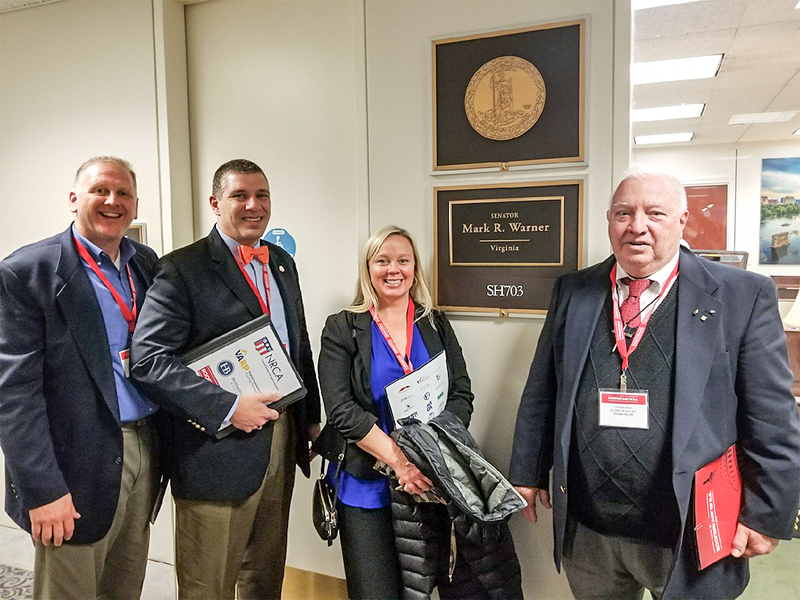 March 7, 2018 wasn’t just any ordinary day, especially for the 400 Roofing Professionals that gathered in Washington D.C. to meet with members of Congress and their staffs. 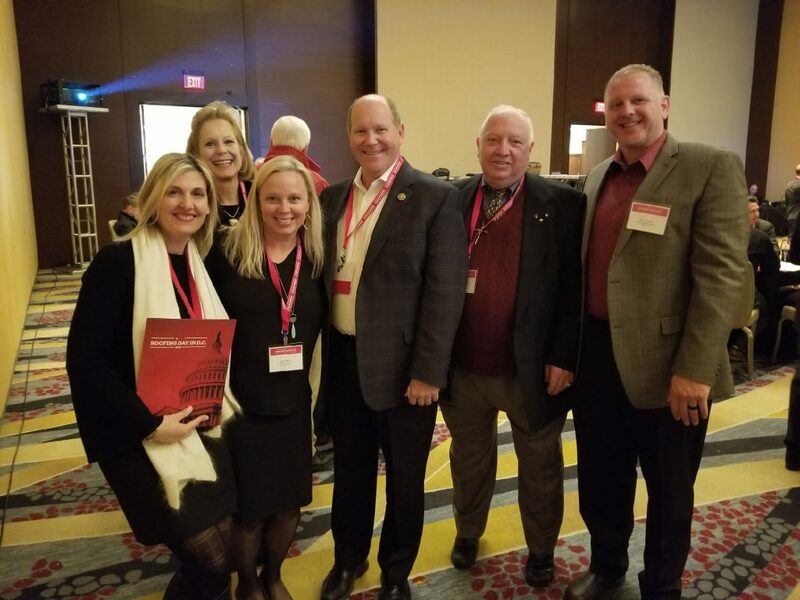 NRCA Roofing Day proved to be a unique and exciting opportunity to take over Capital Hill and speak united as one voice for the roofing industry. Among the roofing professionals were contractors, distributors, consultants, and manufacturers from across the nation joining for a common goal to lobby for regulatory relief, workforce development and immigration reform. The main focus of Roofing Day was to address the major workforce shortages across the board in the industry and discuss ways that U.S. employers can continue to grow their business and create jobs through regulatory reform, create and improve career and technical educational programs, and address workforce needs where it ends illegal immigration without encouraging a black-market economy. Brian Chalsma on the far right, next to former NRCA President Dudley Miles and current NRCA President Reid Ribble. Brian Chalsma, The Roofing Company, NSA President and Scott Sheffleburg, Hertless Brothers Roofing, NSA Member, are pictured here together at Roofing Day, proudly supporting roofing professionals both as a contractor and representing the National Slate Association.